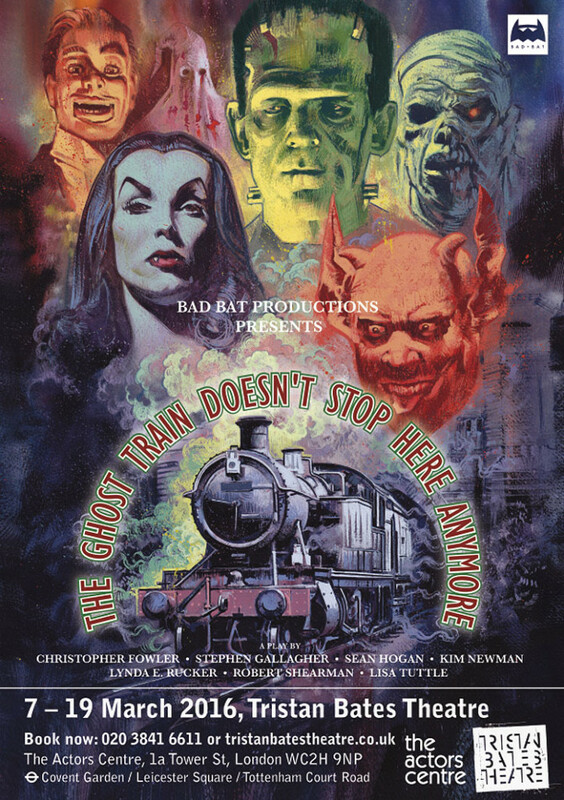 Five passengers meet on a train and agree to tell each other monstrous stories of possession, hauntings, devilry and science gone wrong. Each tale is inspired by a classic monster: vampire, ghost, Frankenstein, the Devil, mummy, ventriloquist’s doll. Each actor plays multiple roles within the tales, and as is traditional in the form, the framing story builds to a suitably macabre climax. The play features segments written by authors Christopher Fowler, Stephen Gallagher, Kim Newman, Robert Shearman, Lynda E. Rucker and Lisa Tuttle, alongside a wraparound story by director Sean Hogan. It will begin a run of 12 performances at Tristan Bates Theatre in London on March 7. This entry was posted in Like Show Business and tagged James Bacon by Mike Glyer. Bookmark the permalink.